India is a country that stands second in the world for highest agriculture output! It is a country that ranks amongst the top five for 80 percent of products produced from the farm! It is a country that is also the 7th largest exporter of agricultural goods. Still, isn’t it astonishing that an average Indian farmer makes only Rs 6,426 a month and some even less? According to a recent study, it is concluded that the most important reason behind the low income of average Indian farmers is in their farming techniques of doing farming without any agricultural implement. Though, a country with a huge number of agricultural machinery manufacturers, there is a significant amount of farmers which doesn’t use any agricultural implements. Even some people do farming without tractors in India. This is proven by the fact that up to 55% of total cultivation of land in India is still worked by animals like buffalo, oxen, and camels. Mechanized farm tools and equipment are becoming more prevalent these days for use as agricultural implements in farming. We have to keep in sync with technology to keep up with modern times and make the best use of them. There are lot of new developments in the farming sector that have an impact on crop production. This article gives a run through most of the frequently used farming equipment in the agricultural process. The days when farmers used an ox or other animals to till and plow the grounds soon seem to become a history. Today, the needs are different as compared to the needs almost a decade ago. Farmers have to keep up with the times in delivering high-quality products. Relying on yesteryear methods may not help them to advance in farming. Especially with higher demands, farmers have to resort to latest technologies to deliver crops. The agricultural efficiency can be improved by introducing latest agricultural implements on the field for the smooth cultivation of land. Moreover, taking care of the field and crops is equally important. Following are the methods which will help you know how to increase the agricultural efficiency of your farm to yield best results. The farmers should use tractors instead of relying on animals. It will not only yield to productive results but also help in maintaining the good health of the farmer. They greatly help in pulling in the heavy supplies and equipment used on the farm. For best results in cultivation, Tractors & sturdy trolleys are a must. 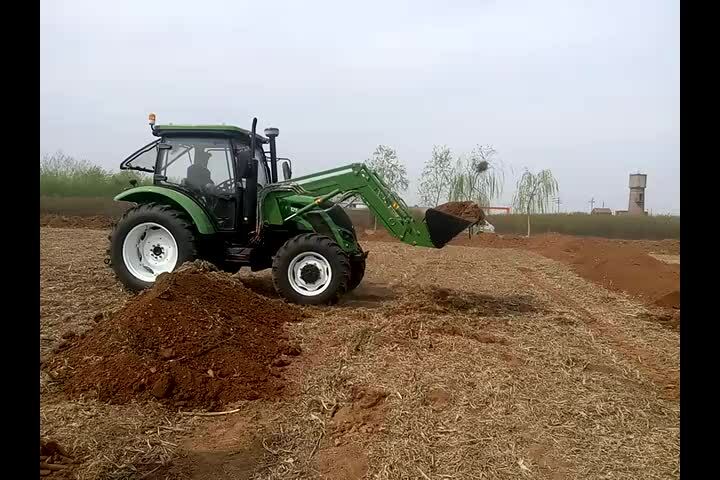 Now, tractors which come with agricultural implements like cultivators or broadcast seeders greatly help in pulverization of soil to prepare it for the plantation of crops. Moreover, the main motive of broadcast seeder is to disperse the seedlings in different patterns throughout the land whose cultivation has been done recently, with the help of disc rotators. Another agricultural implement that could greatly increase the agricultural efficiency is seed drill. The main function of seed drill is to dig the hole in the ground and then plants the seeds and food grains and after that, it covers them in the soil. After the harvesting begins, a harvester is used for the cutting of plants and extracting it for processing. This tool greatly helps when you have very large areas of farm tracks and greatly increases the agricultural efficiency of the land. Even if we use all this techniques and implements, still there is always a chance of losing the crop. In fact, loss of crop is the biggest nightmare of any farmer. It is because of the fact that crops are highly vulnerable to naturally born critters. Even the air or the soil itself can be harmful to the crop. So, the only solution to prevent this is pressure sprayer. These sprayers protect your crops from being infected by dispersing pesticides throughout the farm. The most important thing which plants require for thriving is water. Both less, as well as the excess of water, can be harmful. And it becomes very difficult especially in the case of large farm tracts. So, we use Sprinkler. The main idea of water sprinkler is to sprinkle the water in large parts and also in evenly. And this is the reason why modern irrigation system always recommends the installation of sprinkler pumps in the farms. 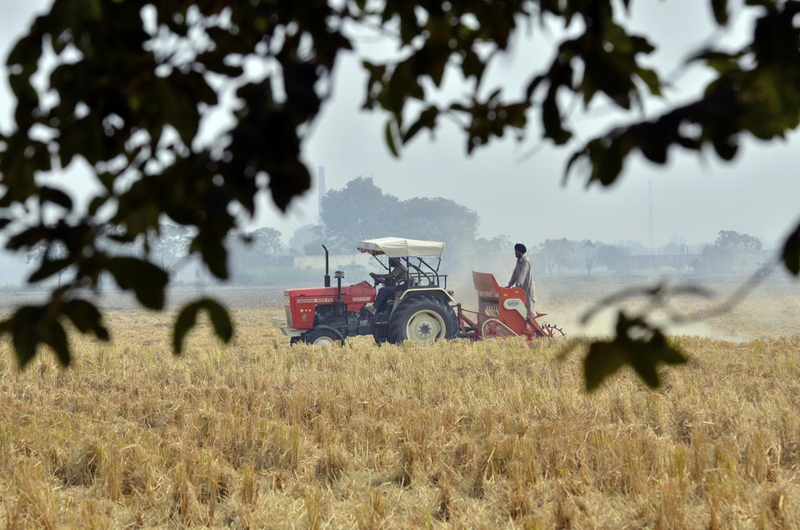 Lately, advancement in technology has led to the idea of producing more amounts of crops with fewer resources and less time by agricultural equipment manufacturers in India. In the past, there were many people who were involved in farming; however, in present scenario only 2% of the population work in farms with a heavy toll to feed the entire population. With the population expected to reach 8.5 billion in next two decades, advancement in technology can be used to solve the farming crisis. The emerging trends in agricultural technology are sensors and automation focussed by agricultural machinery manufacturers. What exactly do sensors do? 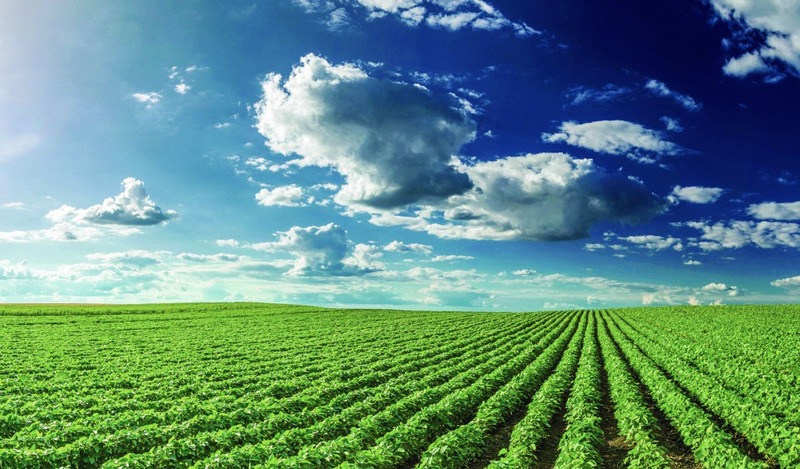 Sensors can be made to track real-time crop development. Moreover, it can be used to monitor farming infrastructure and the habitat of animal farming to improve farming practices. Some of the areas where they are applied are - soil sensors, crop sensors, and livestock biometrics. Automation is another area that has a good potential to improve farming methods for the future. 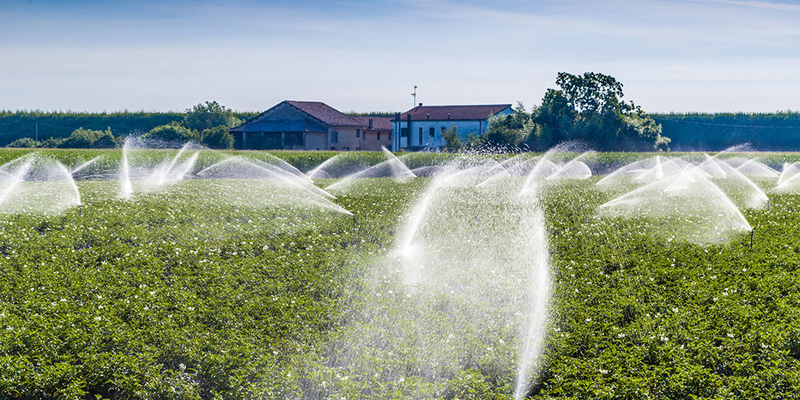 The chores of planting, harvesting and irrigating can be automated with absolute precision. In the future, you may see a swarm of agricultural bots working on the farm in a network to sustain the farming industry. The benefits of Automation could be less human intervention, more productivity of crops, less environmental waste and fewer farm injuries. Now, let’s look in detail some of the farming equipment used in the industry and their application. A tractor is the most commonly used agricultural implement when it comes to farming. Tractors come in all sizes and power. Choosing a tractor that fits your particular purpose is not going to be easy. One of the indications to choose the right tractor for your fields is to check the horsepower. Whether you need to till a ground that is 1 acre in size or 1000 acres, you need to choose a tractor according to your workload on the field. 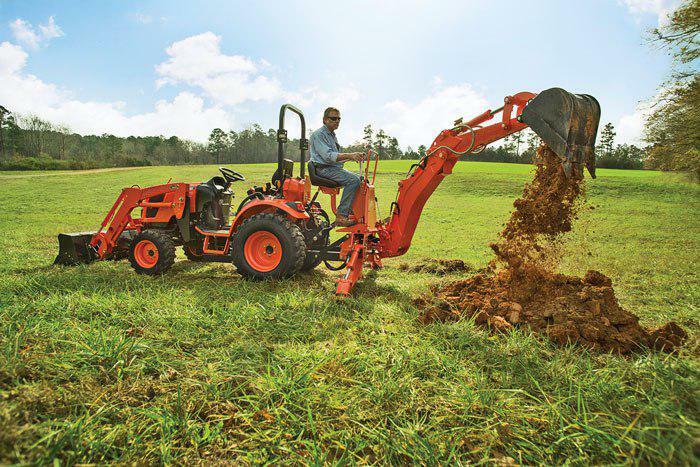 A tractor with a power of 100hp can be used for most applications. However, a tractor with a power of the power of 35 hp is sufficient for small-sized farms. If digging is your thing, then you most definitely need a backhoe. They also come as a hydraulic implement that can be attached to some of the tractors. Backhoes are very handy for transplanting trees, to dig out stumps, and removing large rocks and placing them in landscaping. Before you purchase the hydraulic implement, you may need to know how much weight your tractor can handle to pull the backhoe. Front-end loaders can be very useful if you need to carry bulky items, even loose soil and manure, further lifts heavy weight items and for the use of land grading tasks. They are quite often used on small-scale farms for lifting and digging purposes. If you wanted to remove the weeds out of your cultivation and are wondering how to do it, you have to go for a cultivator. 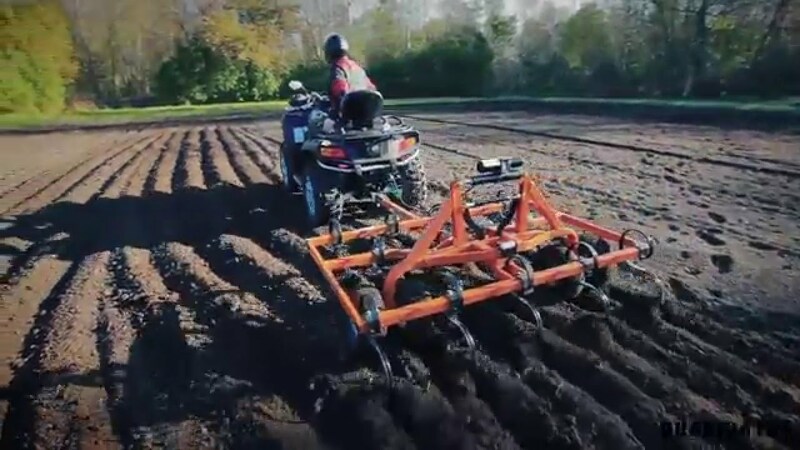 Cultivator works in two ways, it aerates the soil in set patterns before a seed is placed on the soil, and it removes the weed after the crop has grown. The farmer needs to drive steadily without hitting at the crops and at the same time removing the weeds. Sprayers do the job to apply pesticides or herbicides and save your crops from potential damage. 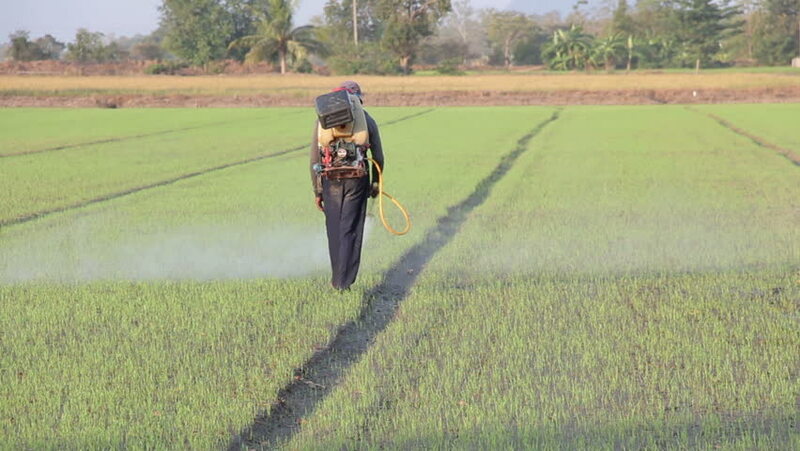 They are available as backpacks or walk behind sprayers that are operated with hands. However, farmers with a large area of farms have to think about spraying in a mass scale. A tractor or All Terrain Vehicle may be used for spraying in such instances. Seed drills are equipment that is used for placing seeds on the ground with minimal disturbance of the soil. They are often used for crops like grains, grasses or forage. 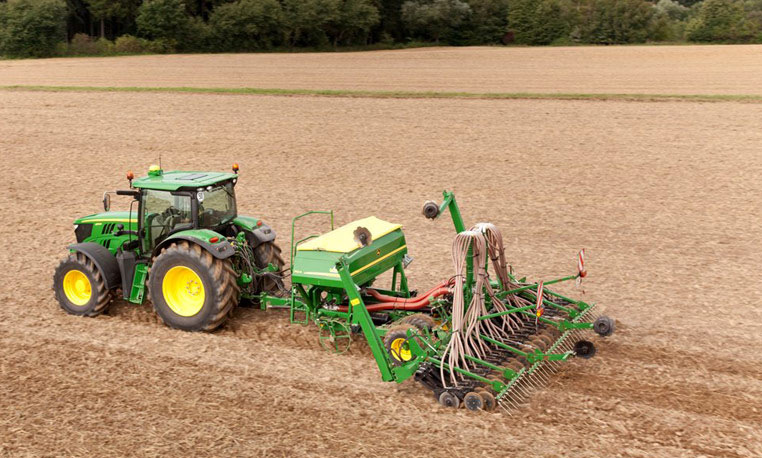 There are two types of seed drills no-till seed drills and traditional ones. 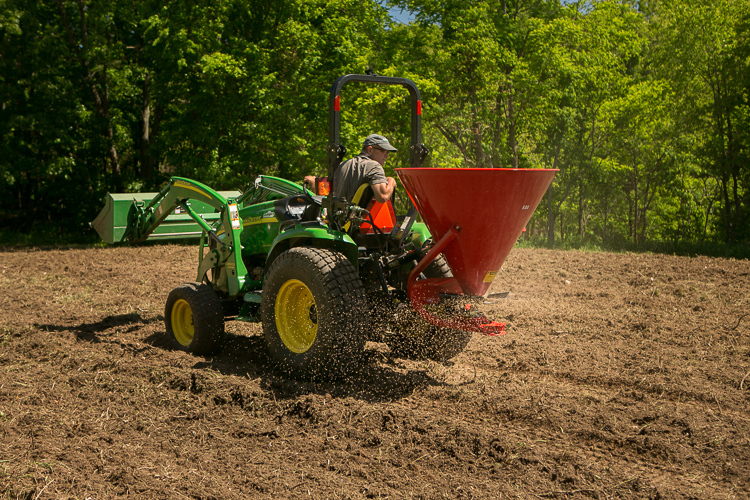 In a no-till seed drill, there are no-tilling needed; the colter blade cuts through the residue crop and creates a path for planting seeds. Whereas traditional seed drills require some form of tilling before placing the seeds onto the ground. Seed drills are some of the most commonly used farm tools and equipment. Broadcast Seeder as the name indicates is used to spread seeds around a certain area of the farm. Broadcast Seeder comes in varying sizes, a lawn seeder where you can carry it around your back to disperse seeds up to an industrial-sized seeder that are pulled by large tractors. How does it work? While the plate inside the seeder turns the seeds in the hopper are dispersed with a certain area of the farm. The broadcast seeder is best used for cover crops, forage, and grasses. 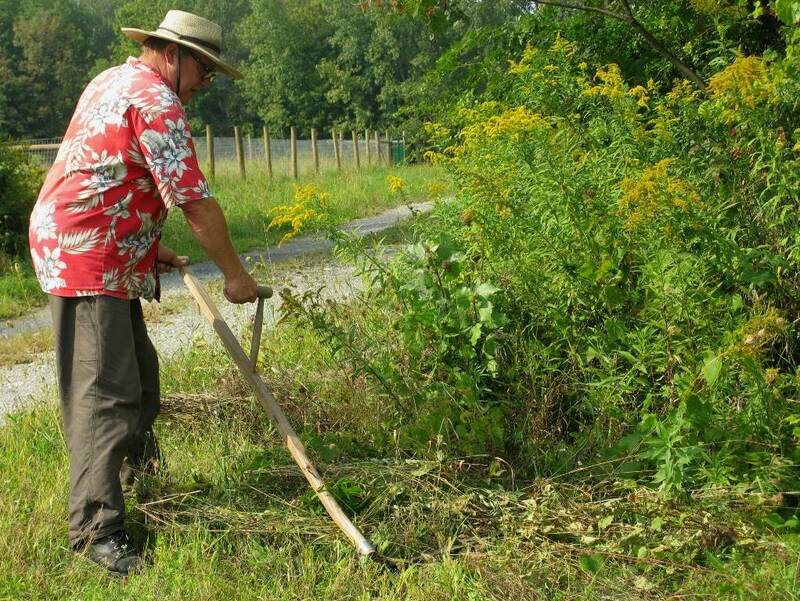 The scythe is the best farm hand tools that are used by farmers for mowing or reaping crops and grass. 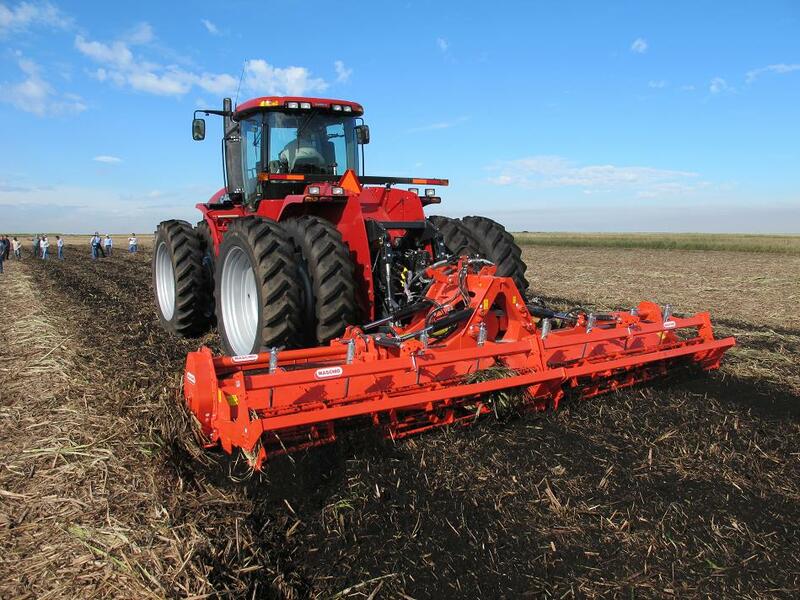 It is very comfortable equipment that comes with a sharp blade and an easy to use a handle to reap crops. Though there is a use of mechanized equipment, yet the use of scythe cannot be overlooked say the resources of a research university. 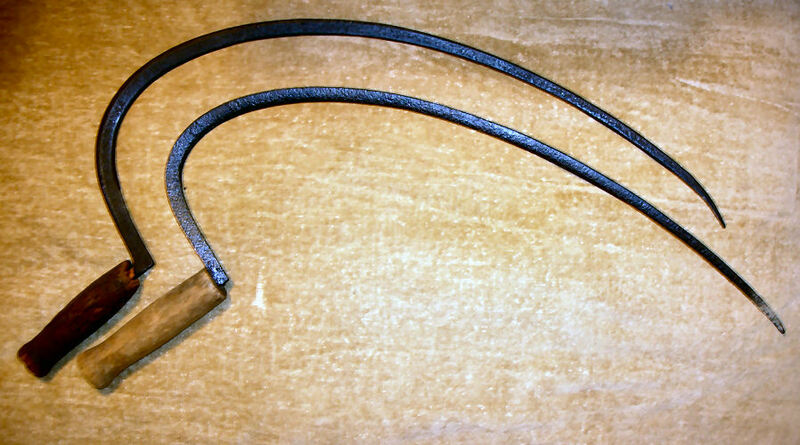 A sickle is a hand-held tool with a curved blade that can be used for harvest crops. Due to its simplicity and low cost, the sickle is known to be used all over the world. Using the agricultural hand tools sickle, the crops can be cut in a stooped or squatting position compared to the upright position using a scythe. Crops like wheat and rice are generally harvested using the sickle. 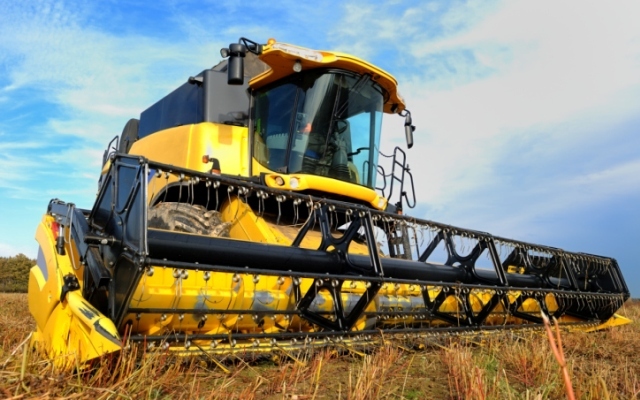 The modern combine harvester is a versatile machine to harvest a variety of crops. They perform all the operations of harvesting such as reaping, threshing and winnowing into a single operation. The commonly harvested crops using a combine harvester are wheat, oats, barley, corn etc. The combine harvester saves a great deal of labor for the farmers. 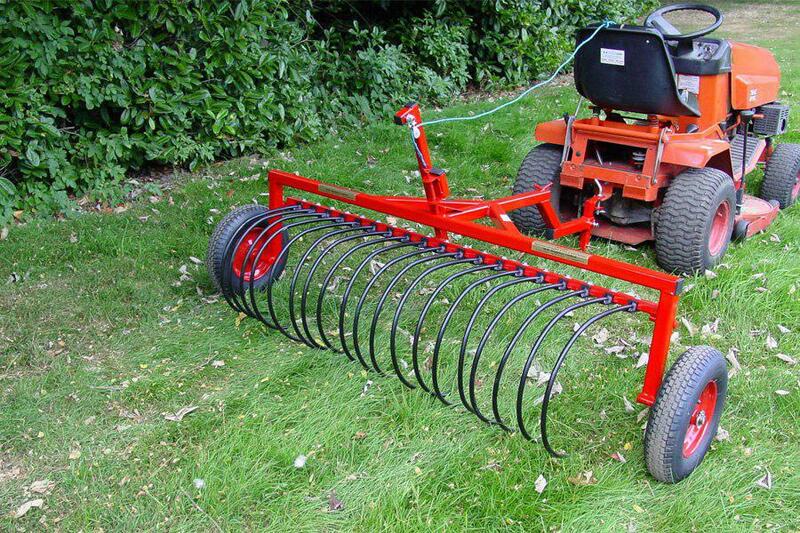 Rakes are popular farming equipment for making hay by forged agricultural tools manufacturer. There are different kinds, wheel rakes, rotary rakes, belt rakes and parallel-bar rakes to name a few which all have their advantages and disadvantages. Rotary tiller also called as the rotavator, rotary hoe or rotary plow is used to work the soil through the rotating blades. They are independent farm tools and equipment or can be attached to a tractor for tilling purposes. Farms mostly make use of the rotary tiller attached to the tractors, while independent rotary tillers are used in domestic farms. The advancement of farming technologies helps the farmer to see great yields in their crop harvest. Moreover, it saves the labor efforts of farmers with the introduction of mechanized devices for farming. Share your experience in using the farming equipment and how they have helped in your farming efforts. 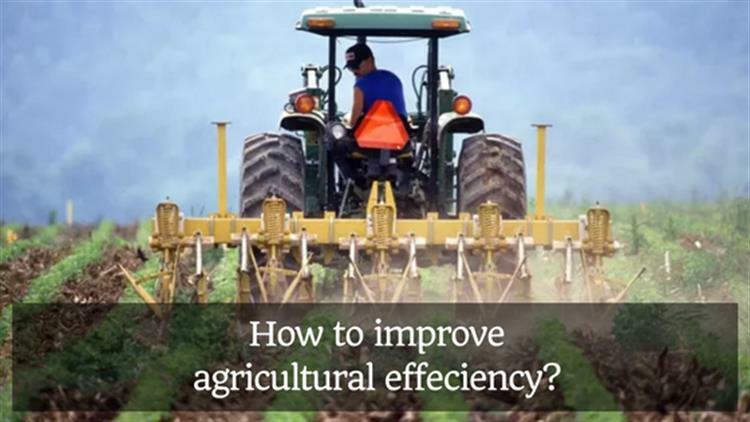 What else do you think can improve the agricultural efficiency? Please do share with us any of the equipment left out that can improve the efficiency.